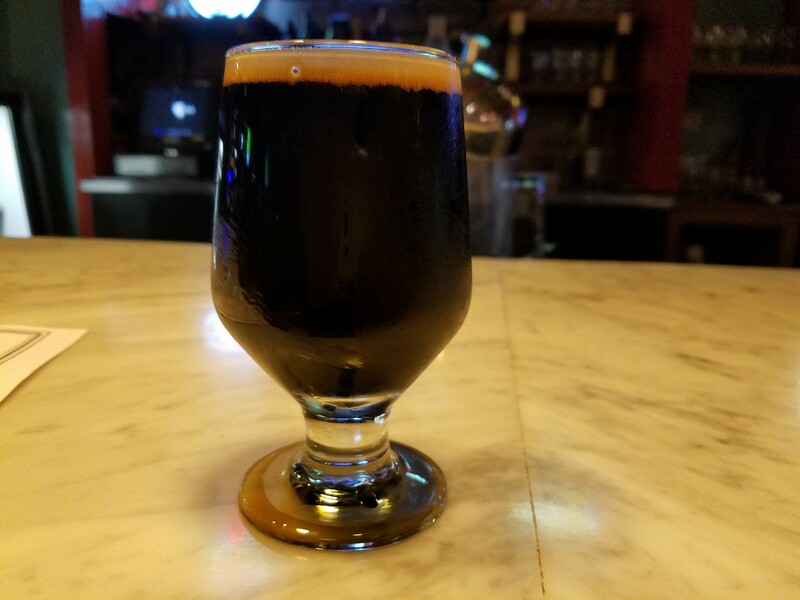 The Abyss Bourbon Barrel-Aged Imperial Stout at C4 Deli, Our Beer of the Week! C4 owner Jeff Jensen and his crew continue to serve the most unappreciated grub (in-house smoked meat, epic sandwiches) and beer in downtown SanTana. No, seriously: it’s criminal the spot isn’t packed from morning until late nights, what with its many beers on tap, in bottles for purchase, and all the flat screens. Simply put: if you’re not here once a week, you’re a CHAVALA. The best thing about Jensen and his ches boludos is that they’re always switching out the taps with old favorites, new discoveries, and seasonal specialties. Right now, the Velvet Yeti on Nitro by Great Divide (5% ABV) is a velvety-smooth stout with chocolate and coffee notes that won’t leave you snockered. It’s a departure from Great Divide’s other versions of their Yeti stouts, and cheers to them for getting more beer drinkers to try a stout and not be intimidated by the high ABV%. And the Blood Junkie Imperial Red Ale (8.7% ABV) by Three Weavers offers a great combination of hops and malts. The malt and toffee notes are up front and then you get a good amount of hops, but it isn’t bitter, there’s no aftertaste. Pair this with the cold roast beef sandwich! C4’s seasonal special right now is The Abyss Bourbon Barrel Aged Imperial Stout (11% ABV) by Deschutes Brewery of Bend, Oregon. It’s aged for 12 months, so you get rich molasses and a hint of licorice and deep chocolate notes. This is a real treat—complex but very enjoyable—and perfect for dessert. And a quick beer note: this Sunday, February 19, is the four-year anniversary of Left Coast Brewing’s Tasting Room in San Clemente. Tickets are $35 in advance and $45 at the door. Held from 1 p.m. to 5 p.m.
go to www.leftcoastbrewing.com for more information, then take the celebration back to C4 Deli. Salud!